Dine Rite LLC is responsible for the management of our food service department in the skilled nursing facility and in Miriam Apartments II. Meals are planned in consult with the chefs, dietitians, food managers and the entire food service team in conjunction with suggestions from the resident’s council and tenant committee. 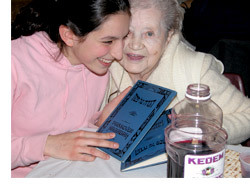 Meals for nursing home residents and subacute patients are prepared in the state-of-the-art, glatt kosher kitchen on the ground floor of the B.I. Cohen Family Building, which has separate preparation areas for meat, dairy and parve foods and is overseen by an on-site masgiach. Glatt kosher meals for the apartment tenants are prepared in the exclusive all-meat kitchen in Miriam Apartments II. 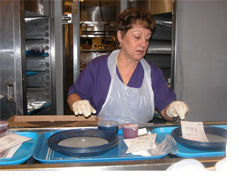 Dietary staff in the skilled nursing facility carefully monitor the preparation of meals for those seniors on special diets. No matter what the requirement is our staff can handle it. 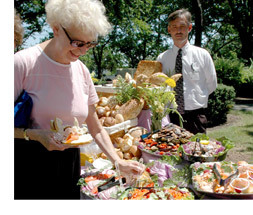 During the summer, barbecues and ice cream parties in the gardens and the gazebo are the norm. 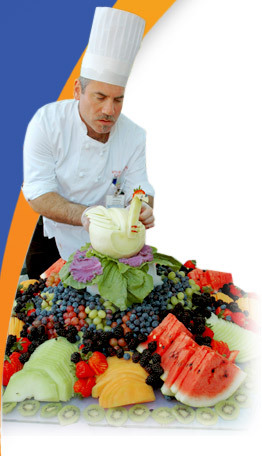 In conjunction with the activities department, food service personnel create menus for themed events and special occasions. Holidays at Daughters of Miriam Center/The Gallen Institute are filled with the traditional foods our residents and tenants have always enjoyed. Whether preparing latkes for Chanukah, a seder during Passover, or turkey with all the trimmings for Thanksgiving, the food service departments bring the flavors of yesteryear home to the table.